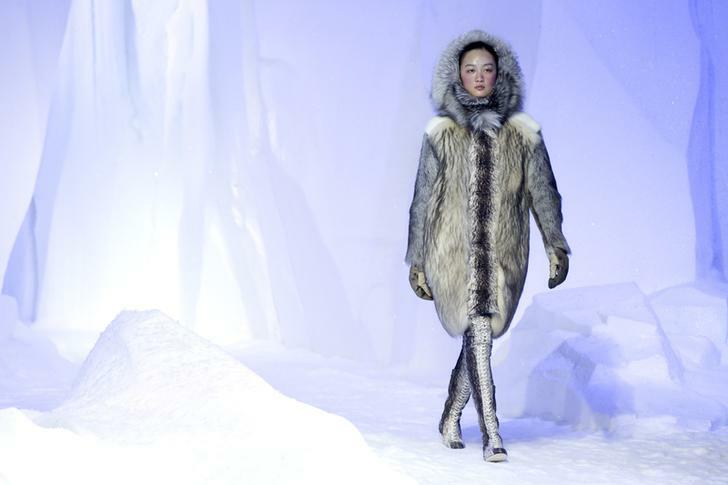 The private equity-backed maker of feather-filled winter jackets is preparing a Milan IPO of up to $1.1 bln. Entrepreneurial Chairman Remo Ruffini has built an impressive business, with plenty of growth potential. But the price looks rich set against established luxury brands. A model presents a creation by Italian designer Giambattista Valli as part of his Fall-Winter 2013/2014 women's ready-to-wear fashion show for fashion house Moncler Gamme Rouge. Moncler, the Italian maker of goose-down winter jackets, plans to sell up to 784 million euros’ ($1.07 billion) worth of shares through an initial public offering in Milan. This will be the biggest flotation in Europe’s luxury sector since Salvatore Ferragamo’s IPO in June 2011, according to Reuters. The offering, consisting entirely of existing shares, will close on Dec. 11. Moncler’s private equity backers, Eurazeo of France, U.S. investor Carlyle, and Italy’s Progressio Investimenti, will sell up to 66.8 million shares. A “greenshoe” option could increase the number of shares offered by 15 percent. Including the greenshoe shares, 30.7 percent of the company will be sold. The stock will be priced at 8.75 to 10.20 euros a share, giving Moncler a market capitalisation of 2.19 billion to 2.55 billion euros. Chairman Remo Ruffini, who has controlled Moncler since 2003, will not sell any shares. His holding company, Ruffini Partecipazioni, owns 32 percent of the stock. Eurazeo is the most recent investor, buying 45 percent in 2011 when an earlier listing was cancelled.